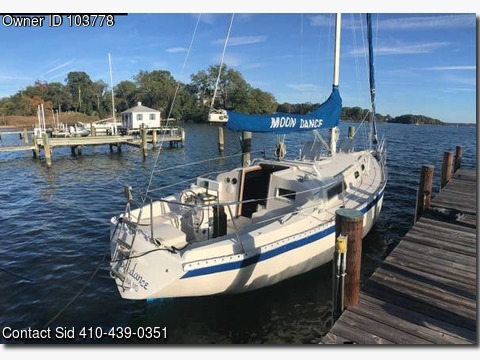 Boat is located in Pasadena,MD.Please contact the owner @ 410-439-0351...1983 34 ft.
Irwin Citation sloop, draws 4.5 ft. with centerboard up. Repowered in 2010 with brand new 3 cylinder Yanmar diesel model 3GM30F. Less than 50 hrs on new engine (engine alone cost over $10k!) New roller furling system in 2015. 3 sets of sails. Boat is in good condition and being sold "as is" $12,900 OBO.